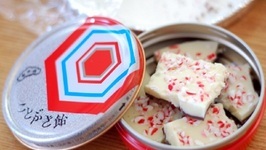 This confection is made with vanilla bark, sprinkled with crushed peppermint and spearmint candy. 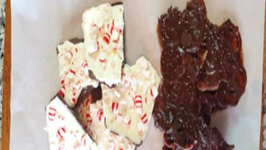 It is tasty and looks festive! 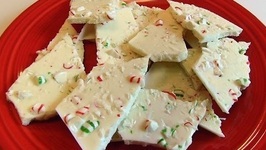 This Peppermint Bark candes are addictive. Trust me once you have it, you wont be able to stop with one. 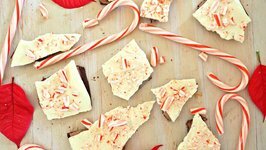 A very easy, delicious and frugal gift to make in your kitchen - chocolate peppermint bark.